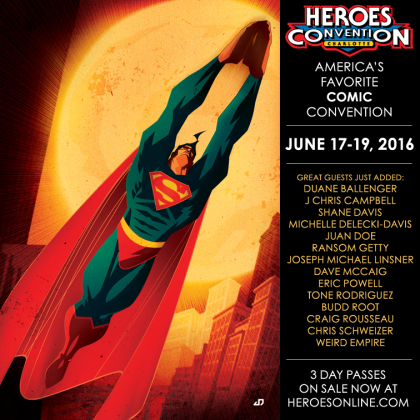 HeroesCon is June 17-19 at the Charlotte Convention Center, 3 Day passes are on sale now! Come and see why we are America’s Favorite COMIC Convention! ← HeroesCon 2016 GUEST LIST UPDATE!